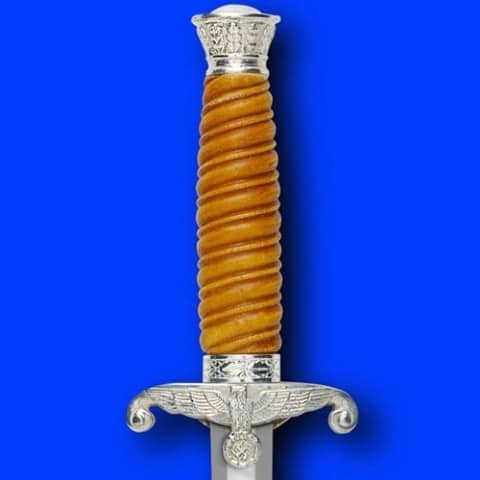 Authentic museum quality dagger based on an original. 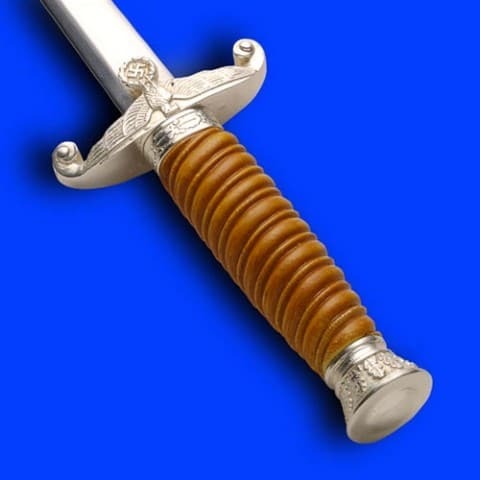 Issued in May 1935 the dagger was designed by Paul Casburg. 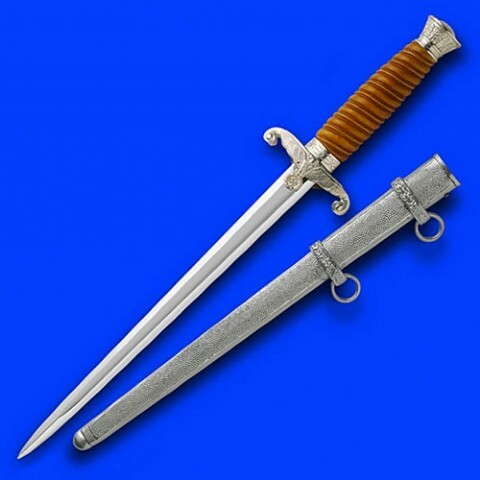 Features high carbon steel 24cm blade. Has correct orange grip and nickel plated steel scabbard.